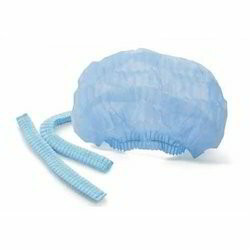 We are a leading Manufacturer of disposable hood cap and disposable bouffant caps & surgeon caps from Chennai, India. we are a leading manufacturer of disposables Safety Materials, factory lacating in Sriperumbudur, chennai. we can able to supply across india..
We are leading manufacturers of Disposable Bouffant Caps & Surgeon Caps. Looking for Disposable Caps ?